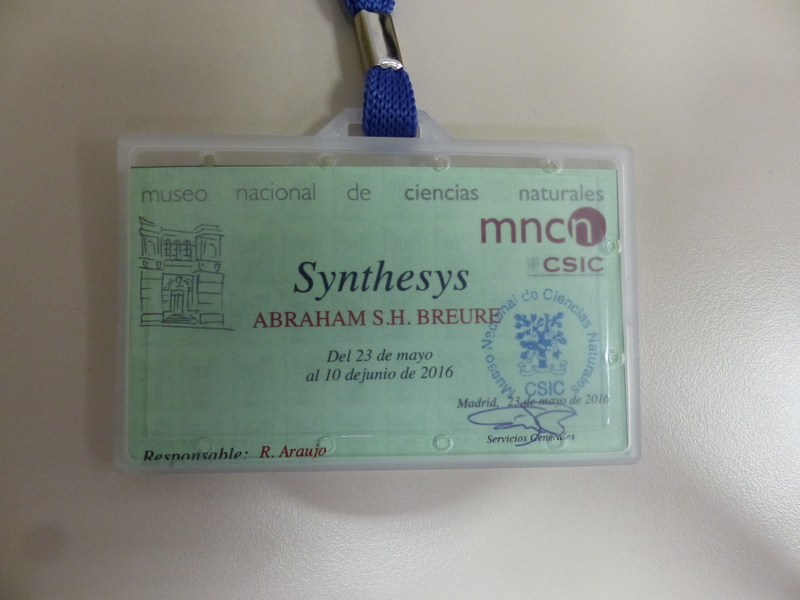 Today I started my 3-weeks visit of the Museo Nacional de Ciencias Naturales (MNCN) in Madrid, where I will revise the material collected by the Comisión Científica del Pacífico (CCP). Although the material has been reported on by Hidalgo, some material could be hidden according to my host Rafael Araujo. Paz y Membiela, one of the CCP members, has travelled multiple times to South America and the year of collecting has never been indicated on his labels. Moreover, several specimens originally from the Paz collection have ended up in the Hidalgo collection, and some of these even might have been transferred to the collection of his pupil Azpeitia. So far, 230 lots have been identified as CCP material, so this will keep me busy for some time. This entry was posted in Uncategorized and tagged varia on May 23, 2016 by bramb. Faunal overviews are one of the key stones of biodiversity research, and I’m proud to announce that one of such (modest) contributions has been released fresh from the press. 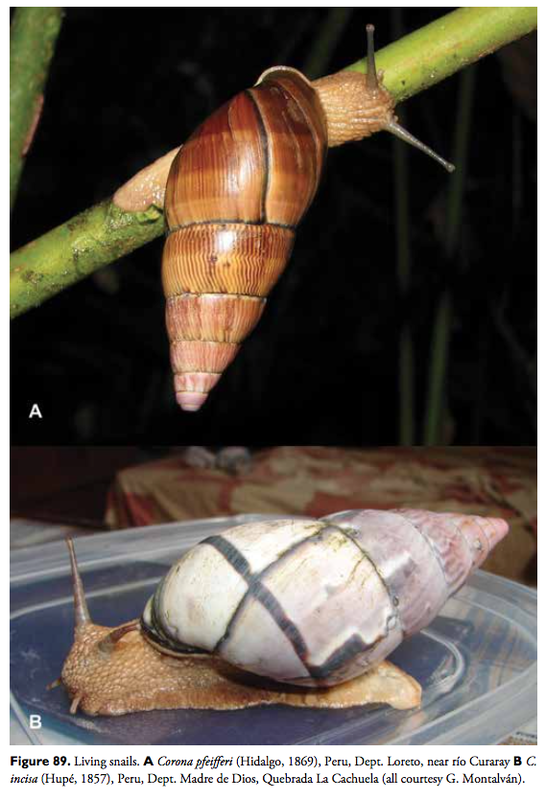 The land snail fauna of several South American countries is very incompletely known despite quite extensive literature. For Bolivia there is only an incomplete and outdated list from 1953, Peru is covered by a name list only (2003), and Ecuador has a catalogue for the mainland Orthalicoidea only (2008). Other countries (Brazil, Chile, Argentina) are covered by recent works from local malacologists, and for some others (Colombia, French Guiana) recently overviews have been published, of which especially the one for French Guiana is also very useful for neighbouring countries like Suriname. This new paper partly aims to fill that gap for Bolivia, Ecuador and Peru treating the minor families of the Orthalicoidea. Covering the three countries this synopsis summarizes all known species and part of their localities (from literature and some major EU museums). Also one new species is described. The full abstract reads: “A faunal overview is presented of the molluscan families Amphibulimidae, Megaspiridae, Odontostomidae, Orthalicidae, Simpulopsidae in Bolivia, Ecuador, and Peru. These Central Andean countries are known for their biodiverse malacofauna, of which the superfamily Orthalicoidea takes relatively a large share. In this paper the five families containing 103 (sub)species, for which systematic information (original publication, type locality, type depository, summarizing literature) and distributional records are presented. All species are illustrated by photographs of the type material or, if this could not be located, by a reproduction of the original figure. The following new taxon is introduced: Thaumastus (Thaumastus) sumaqwayqu spec. n. Junior subjective synonyms are established for: Plekocheilus (Sparnotion) Pilsbry, 1944 = Plekocheilus (Eudolichotis) Pilsbry, 1896; Scholvienia (Thomsenia) Strebel, 1910 = Scholvienia Strebel, 1910; Sultana (Trachyorthalicus) Strebel, 1909 = Sultana (Metorthalicus) Pilsbry, 1899; Plekocheilus (Eurytus) conspicuus Pilsbry, 1932 = Thaumastus (Thaumastus) hartwegi (Pfeiffer in Philippi, 1846); Zebra gruneri Strebel, 1909 = Orthalicus maracaibensis (Pfeiffer, 1856); Scholvienia jaspidea minor Strebel, 1910 = Scholvienia alutacea (Reeve, 1850); Bulimus bifasciatus unicolor Philippi 1869 = Scholvienia brephoides (d’Orbigny, 1835). A new status is given to Plekocheilus mcgintyi ‘Pilsbry’ H.B. Baker, 1963 (subspecies of Bulinus piperitus Sowerby I, 1837); Strophocheilus superstriatus var. prodeflexus Pilsbry, 1895 (subspecies of Bulinus piperitus Sowerby I, 1837); Thaumastus (Quechua) salteri maximus Weyrauch, 1967 (subspecies of Thaumastus (Quechua) olmosensis Zilch, 1954); Pseudoglandina agitata Weyrauch, 1967 (nomen inquirendum). New combinations are: Clathrorthalicus corydon (Crosse, 1869), and Cyclodontina chuquisacana (Marshall, 1930). Lectotypes are now designated for Bulimus incisus Hupé, 1857 and Bulinus piperitus Sowerby I, 1837”. This entry was posted in Uncategorized and tagged Amphibulimidae, bolivia, ecuador, megaspiridae, odontostomidae, orthalicidae, peru, publications, simpulopsidae on May 12, 2016 by bramb. Another uncovered paper with Simone as one of the co-authors is Galvão et al. (2015) on forensic malacology. “Little is known regarding the scavenger fauna associated with buried human corpses, particularly in clandestine burials. We report the presence of 20 shells of the terrestrial snail Allopeas micra, within hollow bones of human remains buried for 5 years, during the process of collecting DNA material. The fact that a large number of shells of A. micra had been found in the corpse and in the crime scene supports the assumption that there was no attempt to remove the corpse from the area where the crime occurred. Despite this, our observations cannot be used to estimate the postmortem interval because there is no precise knowledge about the development of this species. This is the first record of a terrestrial snail associated with a human corpse and its role in this forensic medicine case”. This entry was posted in Uncategorized and tagged brazil, forensics, literature, subulinidae on May 9, 2016 by bramb. Luiz Simone has posted several recent papers, and one of them has not yet been mentioned in this blog: Cunha et al. 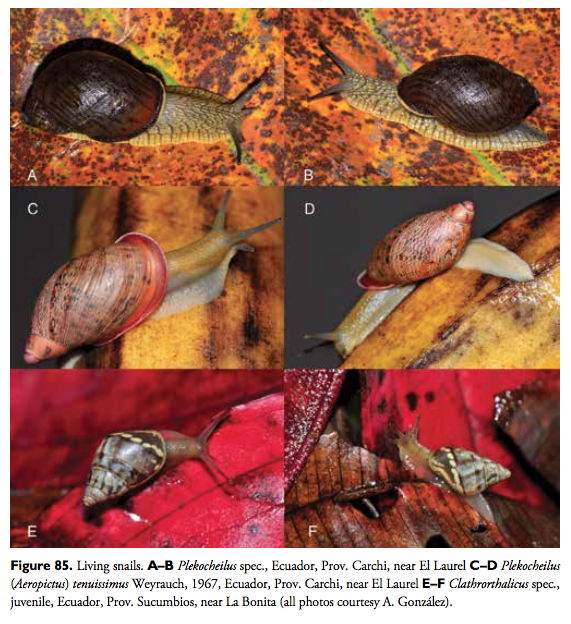 (2015) reported on the terrestrial microsnails collected by the Marion Dufresne Expedition in 1987 at Trindade Island, Brazil. No new species are described in this paper, but it is good to have this report on the often overlooked part of the malacofauna, especially from this oceanic island. Cunha, C.M., Salvador, R.B. & Simone, L.R.L., 2015. 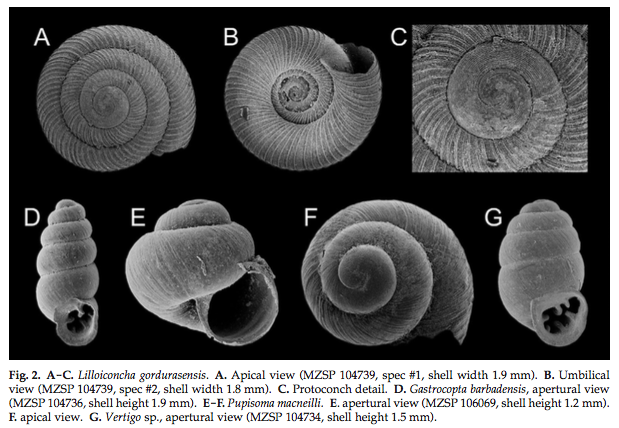 The terrestrial microgastropods of Trindade Island, Brazil. – Spixiana 38: 139–143. This entry was posted in Uncategorized and tagged brazil, charopidae, Gastrocoptidae, literature, Valloniidae, vertiginidae on May 7, 2016 by bramb.